Working out is a pretty misunderstood concept to many people in India. For those who are looking for fat loss, it means working hard at the gym and eating less. I’m burning calories while I workout and not consuming much of it during the meals. That should efficiently add up to a lean, muscular figure. Right? WRONG!!. The highlight shouldn’t be on what you think will work best, it should be on understanding what your body needs and providing it with the same. With respect to workouts, working out on an empty stomach is as bad an idea. For those working out early in the morning, keep in mind that you’ve had nothing to eat in at least 7-8 hours. Do you think your body would do well in a high-intensity workout without a meal? Even those who hit the gym in the evening, it’s usually after a long day at work with most of your energy sapped out. Still not a good idea to workout with an empty stomach. What you achieve at the gym depends on what you eat before and afterwards. The following are some of the best pre workout and post workout foods in India. All have their own significance and special reason for being on this list and aren’t put in any order. Some are mostly a source of carbohydrates, others protein or fibres or even healthy fats. One of the best meals before a workout, Oats are rich in fibre, proteins and minerals. It can be consumed right before your workout, for days when you’re running late. It stays put during workout without causing trouble. Oats are good for battling hunger as they remain in the stomach for a longer time releasing sugars into bloodstream, providing energy throughout the workout session. It contains beta-glucan which is known to reduce levels of bad cholesterol. Oats contain minerals like magnesium, manganese, selenium and phosphorus that are essential for the bones and healthy kidneys. Macros & Micros: Half a cup of the least processed oatmeal when cooked provides 150 calories, 27 gms of carbs, 5 gms of protein, 5 gms of fibre and 2 gms of fat. The macros of one cup of cooked rolled oats are exactly the same except that it contains 3 gms of fat. A bowl of instant oats contains 100 calories, 19 gms of carbs, 3 gms of fibre and 2 gms of fat. 100 gms of plain oats contains 429 mg of potassium and 2 mg of sodium and 10.6 gms of dietary fibre. The all time favourite of fitness professionals and athletes for a reason. It is a powerhouse of carbohydrates that will see you through the workout and is also rich in potassium and manganese that helps in preventing muscle cramps caused during workouts. Manganese is good for the bones, helps in carbohydrate metabolism and also aids functioning of nerves. Mix it into a shake with milk if you prefer. That will provide you with the protein and carbohydrate that you need. They should be taken 30-45mins before the workout for optimal benefits. Macros & Micros: One medium sized banana is known to contain 105 calories, 26.95 gms of carbs, 1.29 gms of protein and 0.132 gms of saturated fat. A cup of whole milk contains 146 calories, 11.03 gms of carbs, 7.86 gms of protein and 4.551 gms of saturated fat. It has 422 mg of potassium and 1 mg of sodium in a medium sized banana. Whole wheat or multigrain bread with eggs is the ideal pre-workout meal. The bread provides carbohydrates that you need while the eggs provide protein. Out of the two, the eggs are more significant and you’ll see why. Though eggs will provide you no carbohydrates, what they will provide is high quality protein (lots of it from both the whites and the yolk), vitamins like A, E, K and B12, minerals like calcium and iron. It also contains all the essential amino acids. They will help in muscle growth. They contain saturated fats too but within the acceptable limits. There are very few food items as wholesome as eggs. You can have them boiled, scrambled or baked with your bread. Macros & Micros: A regular slice of whole wheat bread contains 128 calories, 23.64gms of carbs, 3.86 gms of protein, 0.366 gms of saturated fat, 138 mg of sodium, 53 mg of potassium and 1.1 gm of dietary fibre while one whole egg (yolk and whites) contains roughly 74 calories, 0.38 gms of carbs, 6.29 gms of protein and 1.55 gms of saturated fat. Fruit smoothies are an ideal nutrient-rich source before workout. Just like the fuel an engine needs before a tough drive, it is the boost you need. Carbohydrates and sugars from the fruits and protein from milk or yogurt, whatever you choose as base for your smoothie. It is better to opt for fruits like mango, banana, watermelon that have a high glycemic index i.e. they are metabolized fast and easily and provide a quick boost of energy. You can also add nuts to your smoothie, like walnuts which can only make it better in terms of proteins and healthy fats and in terms of taste. Macros & Micros: A serving of only fruit-juice based smoothie contains 130 calories, 33.52 gms of carbs, 0.88 gms of protein and 0.067 gms of saturated fat. 100 ml of dairy based smoothie contains 84 calories, 17.43 gms of carbs, 1.45 gms of protein and 0.808 gms of saturated fat. The last but most important food on our list of pre-workout ‘superfoods’ is coffee or rather the caffeine it contains. We can probably give you more reasons to keep this on the list than any other item. It enhances metabolism, meaning the body uses up more calories in the day. Coffee in the system instructs muscles to use up carbohydrates stored in fat cells rather than glycogen, reducing body fat content. It has been proven to improve mental focus and performance in athletes helping them train harder and longer. It also helps to keep food intake in check since it is an appetite-suppressant. The benefits of coffee here are of course better enjoyed without the cream and sugar we tend to prefer. 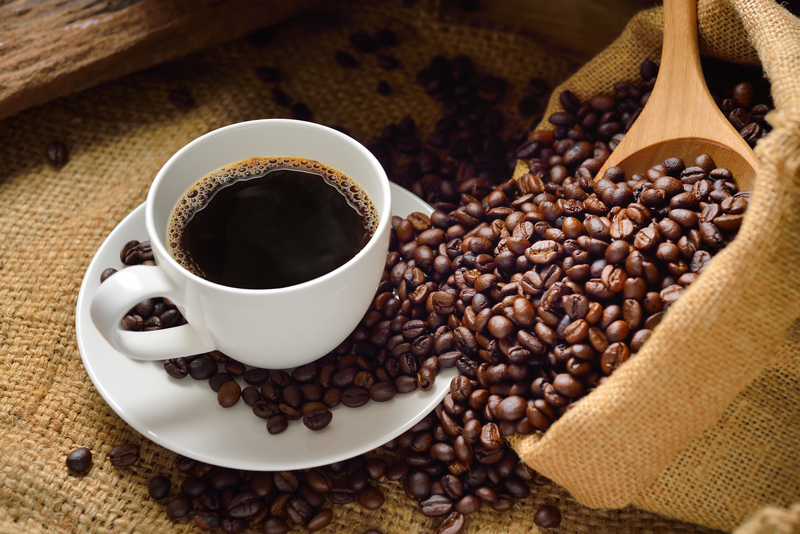 Macros & Micros: 100 ml of black coffee contains 1 calorie, 0.04 gms of carbs, 0.12 gms of protein and 0.002 gms of saturated fat. Dairy is the perfect after workout snack. The reason being that the dairy products have protein which is necessary for recuperating muscles after a workout. The calcium helps in strengthening bones. The carbohydrates provide energy. What yogurt additionally has is Vitamin C among other minerals which is good for energy and the immune system. Yogurt contains ‘probiotics’ or good bacteria that is beneficial for the digestive tract. Adding fruits and wholesome cereals to yogurt as an after workout snack is just the right dose of carbs and proteins for you. Macros & Micros: 100 gms of plain yogurt contains 63 calories, 7.04 gms of carbs, 5.25 gms of protein and 1 gm of saturated fat. It contains 234 mg of potassium and 6 mg of sodium. One cup of cereal contains 124 calories, 27.4 gms of carbs, 2.39 gms of protein and 0.274 gms of saturated fat. The fruits you add will contain calories too according to the type. Milk is a source of protein. You can add to this Whey or Casein protein powder. It helps in muscle regeneration after workout. Livestrong.com says that, “Whey protein is quickly used by the body for muscle repair and casein protein absorbs slowly, providing the body with long-term muscle recovery.” In addition to the protein and nutrients of milk, the chocolate provides carbohydrates. So chocolate milk is a composite source of proteins and carbohydrates for “muscle repair and energy replacement and increased athletic endurance.” Macros & Micros: 100 ml of chocolate milk made with whole milk will contain 88 calories, 10.91 gms of carbs, 3.34 gms of protein and 2.22 gms of saturated fat. Also 418 mg of potassium and 150 mg of sodium. Something that is high in protein and fibre but low in calories. Rice in general is a rich source of carbohydrate. You’d think it would make you gain weight since high amount of carbohydrates in blood stream raises blood sugar promoting insulin release which in turn promotes fat storage. But you can avoid all of that. Choose white lean meat which is lowest in terms of calorie and brown rice which is high in fibre. Having protein and fibre with the carbohydrates will reduce blood sugar levels and will also help keep you full for longer. This will prevent you from eating much after the workout keeping your diet in check. Macros & Micros: A cup of cooked brown rice contains 215 calories, 44.42 gms of carbs, 4.99 gms of protein and 0.349 gms of saturated fat. 100 gms of chicken breast contains 195 calories, zero carbs, 29.55 gms of protein and 2.172 gms of saturated fat along with 243 mg of potassium and 393 mg of sodium. Along with energy, the body loses plenty of fluids during workouts in the form of sweat and the body needs replenishing of its fluids too. Water is the ideal source to replenish body fluids but orange juice would be a better option keeping in mind the nutrients it additionally replenishes. It replenishes the body with carbohydrates and potassium that is good for the muscles. It also has vitamin C that you wouldn’t find in other drinks. Now, it is easy to reach for an artificial sports or energy drink instead for many reasons. But the high fructose corn syrup and artificial dyes they contain wouldn’t do you any good. Squeezed orange juice contains natural sugars too, but nothing that could harm after a high-intensity workout. Macros & Micros: 100 ml of squeezed orange juice contains 47 calories, 10.9 gms of carbs, 0.73 gms of protein and 0.025 gms of saturated fat. It also contains 210 mg of potassium and 1 mg of sodium per 100 ml. They are highly popular for the all that they provide, in a combo. There are a variety of protein bars that you can choose from. There are high-carb, low-carb, organic and gluten free. The one that is best suited to you will depend on your workout. In general all bars will provide the protein you need to repair torn muscle fibre and the carbohydrates for energy replacement. Some tips to keeps in mind while choosing your bar is to keep calories as per your needs (usually 150-200), sugar content below 7gms, carbs to proteins in the ratio 4:1, fats below 4gms and fibres above 10gms. Look for bars that use whey as source of protein and complex carbohydrates. Keep in mind that while the right protein bar can do you a world of good, choose the wrong one and all the strenuous effort of your workout would have gone in vain, even causing you to crash. Macros & Micros: The Simply Bar protein bar which is about 40 gms in weight contains 160 calories, 16 gms of carbs, 16 gms of protein, 1 gm of saturated fat and 4 gms of dietary fibre. It has zero cholesterol and 215 mg of sodium and 80 mg of potassium in its 40 gm serving. We tend to ignore pre-workout meals just because we don’t feel as starved or exhausted before a workout as we do afterwards. But it is just as important. What we achieve from a workout depends on what we eat before going into it. It is necessary to space your meals before workouts. There are meals better suited to certain workouts than others. We leave that for another time. The important take away from this article is that just like we are how we train, we are also what we eat before and after we train. Next articleHow Many Calories Are There in Lassi & Does It Have Any Health Benefits?